Inner chest workouts can be difficult, and it can be hard to know if you are doing the right exercises. Parts of the chest are very easy to build muscle on, but other parts are very difficult. The following article will outline everything that you need to know about how to build inner chest muscles, how to develop an inner chest workout, and the best strategies for ensuring optimal mass gains. Although you may not realize it, it is actually impossible to split your chest into ‘outer’ and ‘inner’ muscles. Your pectorals actually run across the entire width of your chest, and are all worked at the same time. 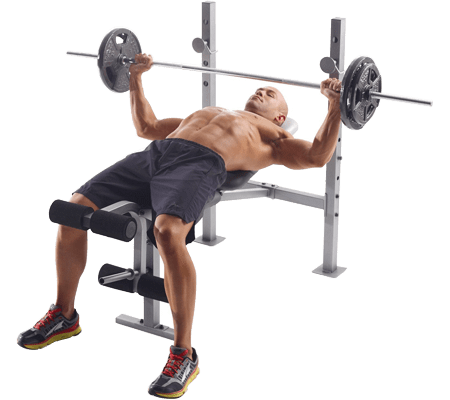 If we must make some distinction, then the best thing to do is split our chest workouts into upper middle chest workouts and lower pectoral workouts. Unfortunately, for those of us who don’t have a muscular ‘inner chest’, there may be no easy answer. How do I work my upper inner chest? How do I get my upper chest bigger? How do you work out your pecs? The part of your chest between your pecs, which runs directly between your ribs, is called the sternum. Unfortunately, the sternum isn’t actually covered by muscle. It is basically a strip of bone which holds your rib cage together. If you have a naturally wide sternum then you may find that it is almost impossible to build inner chest muscles efficiently. If you are having trouble, the best thing to do is probably to just keep on trying new exercises. If you don’t have an extra wide sternum, but still lack inner chest muscles, you may simply lack chest muscles altogether. The best way to rectify the situation in this case is to workout, a lot! Doing chest muscle workouts will help you get rid of that flat inner chest and build the muscle that you have always dreamed of. It can be difficult to develop an efficient middle chest workout which also targets the inner chest. If you are having trouble finding useful exercises which actually work to build muscle mass, then you should try some of the ones outlined below. Working out the inner upper chest is quite difficult. The best exercises to stimulate muscle growth in this area vary from person to person, and you need to find out what works best for you through simple trial and error. Usually, the best way to build bulky muscle is through a lot of repetitions of light weights. Use weights which challenge you, but which you can still get at least 10-12 reps at a time with. If you have been wondering how to work inner chest muscles, then look no further than the exercises outlined below. If you really understand how each part of chest muscle relates to all the other parts then you will realize that the upper and inner chest are directly related. Getting your upper chest bigger involves much the same exercises and activities as getting your inner chest bigger. Narrow grip bench presses, as outlined above. Dips, which are very simple bodyweight exercises that can be done anywhere you have two parallel bars about a meter apart. Push ups and any one of many, many push up variations. Dumbbell flies and other dumbbell exercises. 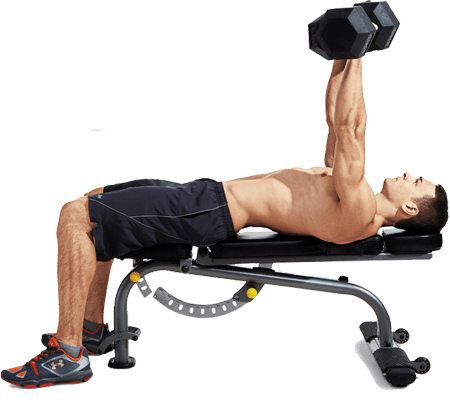 Many exercises done on specialty workout machines also work great with an inner and outer chest workout, especially those done with a chest press machine. These are just some of the many, many chest exercises out there. Some of them are simple bodyweight exercises, while others are more complicated and require specialized equipment. If you are unsure how to do any of the above exercises then a quick google search will reveal many educational articles and videos outlining the correct techniques. One of the best workouts for the pecs is the bench press. Modifying the standard bench press slightly allows you to work out your pecs more than your triceps, and will help you build muscle mass. Instead of starting with your hands spread quite wide, go for what is known as a ‘close grip bench press’. Begin the lift with your hands a close together as is comfortable, modifying their position and the position of your elbows until you feel your pecs working hard. Note that since you are working completely different muscles doing this, you won’t be able to lift as much. Again, for maximal muscle mass gains go for a weight which comfortably allows you to do 10-12 reps regularly. The most important thing to realize when it comes to mid chest exercise and trying to build inner chest muscle mass is that it all starts with diet. If you aren’t following the correct diet then you will find it extremely difficult to build decent looking inner chest bulk, and you may find that you don’t recover well between sessions or that you suffer from chronic and acute fatigue. If you are doing a lot of weight lifting and trying to build muscle mass then you need to be consuming a diet high in protein. This provides the fuel your body needs to repair and build up muscle fibers, and can come from high-quality meats and dietary supplements. You need to avoid fatty fast foods and foods high in processed carbohydrates, as these will retard your progress and will make it much harder for you to build any real muscle mass. Don’t overdo it. If you are still quite sore then have another rest day. Stay well hydrated – building muscle and exercising while low on fluids is never easy. Find what works best for you and stick with it. Talk to other people about what works for them! Good luck and get out lifting!